For playing monster mechanic, see Normal Set. To Set (Japanese: セット Setto) is to place a card face-down on the field. Monster Cards can be Normal Set from the hand in the Monster Zones, which places them in face-down Defense Position on the field. 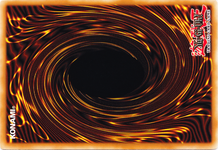 Each player can only perform 1 Normal Summon or Set per turn. With the exception of Field Spell Cards (which are Set in the Field Zone), Spell and Trap Cards are Set in the Spell & Trap Card Zones. Cards that are Set in the Spell & Trap Zone or Field Zone are are placed vertically. Pendulum Monsters cannot be Set in the Pendulum Zone as Spell Cards. 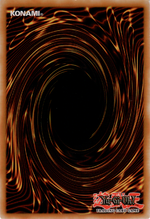 Prior to the introduction of Extra Monster Zones, Pendulum Zones were separate zones, so no cards could be Set in them; after the introduction of Extra Monster Zones, two Spell & Trap Zones are used as Pendulum Zones instead, although they are not treated as Pendulum Zones if there is not a Pendulum Monster in them (such as if a Spell or Trap Card is Set in them). Flipping a card on the field face-down (such as by the effect of "Book of Moon" or "Scrap-Iron Scarecrow") and Special Summoning a monster in face-down position (such as by the effect of "The Shallow Grave" or "Magical Hats") are both forms of Setting. ↑ Konami (29 October 2009). Stardust Overdrive Sneak Peek – Card Rulings (version 1.0) (PDF). Dark Simorgh. ↑ "Ｑ＆Ａ » 「ダーク・シムルグ」が存在する時に、「月の書」や「浅すぎた墓穴」を発動する事ができますか？" [Q&A » While "Dark Simorgh" is present, can "Book of Moon", "The Shallow Grave", etc. be activated?] (in Japanese). Konami. 21 March 2014. Retrieved 6 April 2016. This page was last edited on 7 October 2018, at 04:32.